The manifold applications of slewing jib cranes in marinas, boatbuilding, or shipyards are almost unlimited. 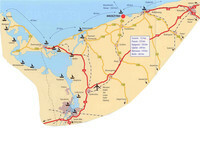 VETTER yachting cranes can be found in numerous international marinas where they are used for the handling of yachts. Here, they are unrivalled thanks to their permanent availability and environmentally friendly operation as well as individual design options which enable harmonization of the crane's appearance with the local conditions. In boatbuilding and shipyards, energy supply systems provide for efficient and safe operations. 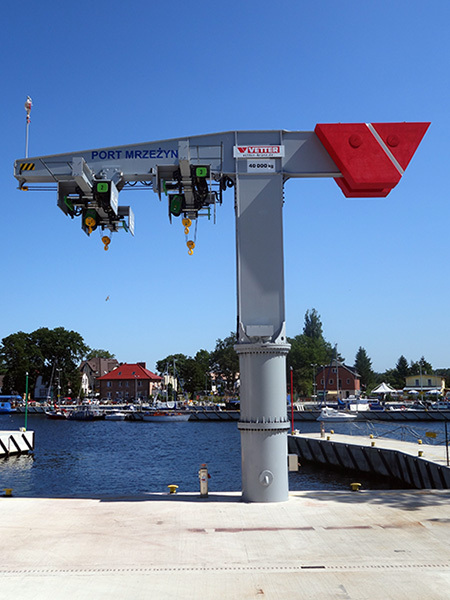 The fishing marina in Mrzeżyno/Poland, a fishing village and seaside resort at the Baltic Sea (West Pomerania), has a new attraction: Where the Rega river flows into the Baltic Sea a VETTER yachting crane of type BOSS now supports the fishing companies in maintaining their boats. The crane with the striking VETTER V as counterweight and an impressing capacity of 40,000 kg is provided with four hoists on two cross beams. The front cross beam can be moved forward and backward by means of a patented traversing trolley. Integrated safety devices measure whether all four lifting gears are loaded equally. A fuse automatically stops the transport operation in case of excessive load or oblique position. If all safety parameters are met, the crane slews the boat to the provided transfer position. It goes without saying that the crane is provided with a special coat on the basis of corrosion category C4 to protect the system from the salt air in this maritime environment. The operator Wojciech Grzymkowski is proud of the new crane: "The 40-ton crane by VETTER now moves all boats safely ashore. 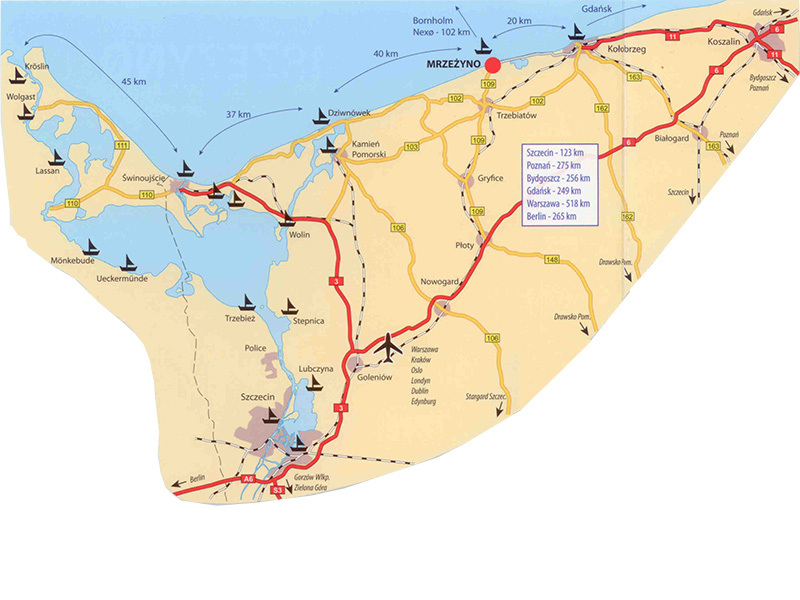 A crane of this size is unique at our coast and reflects the performance of our port. The crane has become a new symbol of the town and represents the modernity of the port." Direct supply of energy to the workplace at large construction sites is still facing problems. 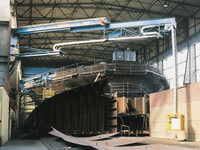 When lines in large-scale plant engineering or shipbuilding, e.g. for supply of compressed air, gases, acetylene, oxygen, ventilation, suction etc. and other feed lines for welding, drilling, grinding, or lighting, etc. are to be installed over great distances and where these lines are to be relocated over and over again due to changing workplaces, things become quite difficult. The installation of lines is not only time consuming and expensive but the present installation methods bear the permanent risk of damage resulting in long down-times. 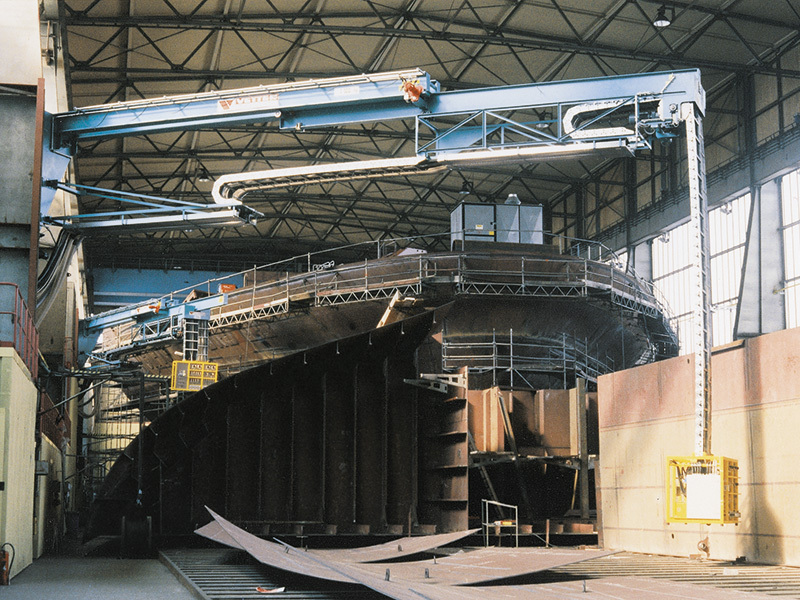 In this respect, the VETTER Krantechnik GmbH Company developed an energy supply system which has been implemented quite successfully in an entire shipbuilding hall. 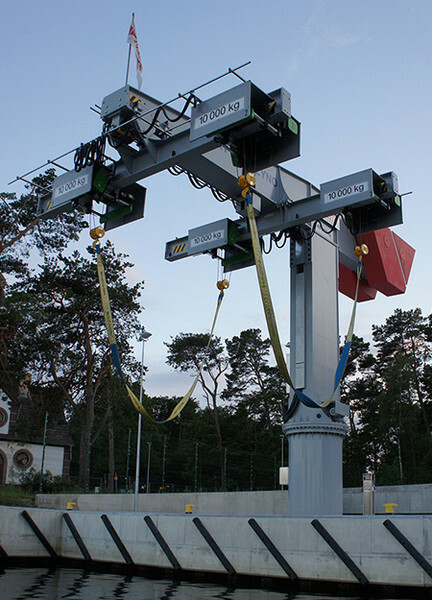 Telescopic slewing jib arms which are mounted to the walls are provided with supporting frames at the bottom which accommodate all types of energy in flexible energy supply chains. At the end, there is a cage with quick release couplings from which the operator can take the required type of energy. The operator is able to control the entire energy supply system, i.e. from a central control panel while two speeds are available: Quick and high-precision motion. This novel system saves considerable working time normally required for the installation of feed lines to the workplaces, in particular when different types of energy are to be supplied to different workplaces as in case of shipbuilding. In the present case, 6 jib arms for energy supply were permanently installed in the shipbuilding hall; today – after installation of the system – no retrofitting works are required to supply the required energy to the respective workplace.